What does it mean when a “stop” sign is placed on the left side of the roadway only? Stop and give right-of-way to incoming traffic from your opposite direction only. 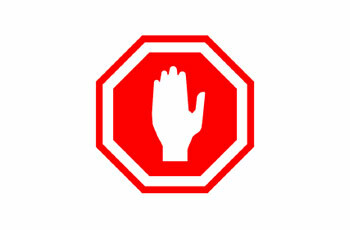 Stop and give right of way to traffic coming from your left only. 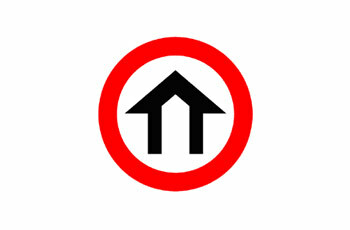 Stop and give right of way to traffic coming from your right only. Give right-of-way to all vehicles. Be alert, speed camera ahead. 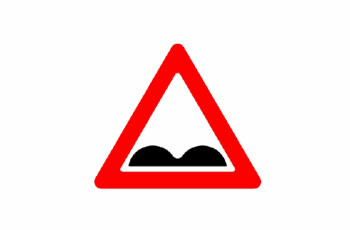 A hazardous place for which a specific road sign was not designated. 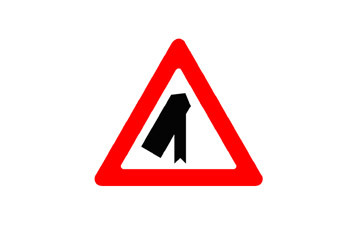 What is indicated by the following traffic sign? 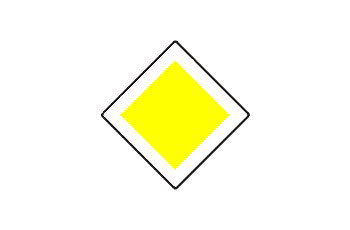 It is also permitted to drive against the direction of traffic. The driver must make a U-turn. How would you conduct yourself when approaching an intersection that is preceded by a “stop” sign? Stop and give right-of-way to any other vehicle that is entering or approaching the intersection from a different roadway. Give right-of-way to any other vehicle that is entering or approaching the intersection from a different roadway. You are only obliged to stop when vehicle traffic on the crossing road is approaching from your right. You are only obliged to stop when a policeman instructs you to do so. 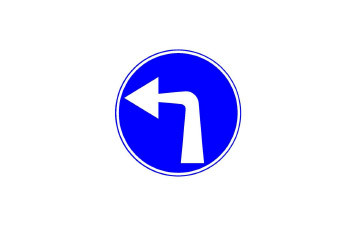 How should you turn left from a road on which the following sign is placed? You should start turning from the central lane. From the left side, unless otherwise signposted. You should turn from the far right lane. 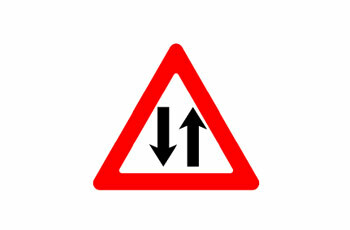 It is forbidden to turn left. You are only allowed to drive forward. How would you conduct yourself when approaching an intersection with a yellow flashing traffic light? Slow down and give right-of-way to vehicles approaching from the opposite direction. Stop until the traffic light turns green. Slow down and follow the “right-of-way” rules and the traffic signs that are placed in the intersection. You have right-of-way towards the pedestrians on the zebra crossing, and therefore you should proceed normally to the intersection. 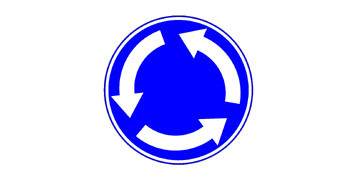 Which of the following road signs prohibits vehicles to make a left-turn into a gas station? 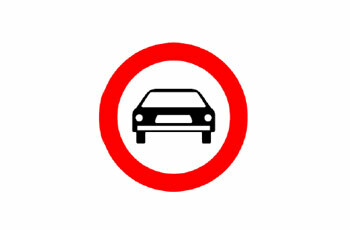 No overtaking for public vehicles only. All vehicles are permitted to park and wait for passengers. It is permitted to load a maximum of six passengers in each cab. It is forbidden to unload passengers within the boundaries of this sign. 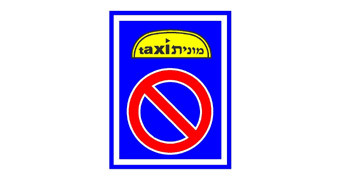 All vehicles are permitted to stop for the purpose of passenger unloading. Steep escent for the next 2,500 meters. Steep escent starts in 2,500 meters. Steep and winding descent for the next 2,500 meters. 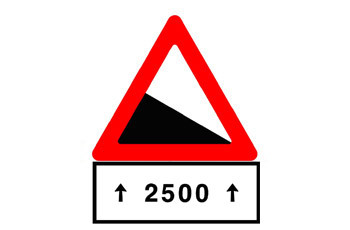 Steep descent starts in 2,500 meters. On the road is sign 405 and a motorcycle overtakes a car? According to the sign both vehicles are prohibited from entering this road. 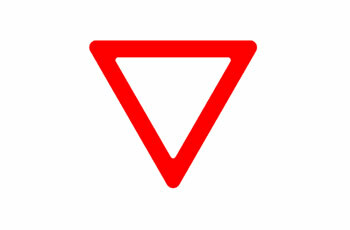 According to the sign a motor-cycle is prohibited to overtake a car. 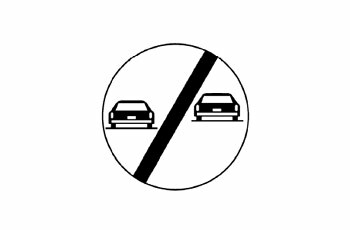 According to the sign a car is prohibited to overtake a motor-cycle. According to the sign overtaking is prohibited. 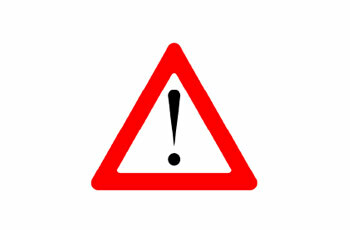 What are you required to do after passing the following traffic sign, which is placed to your left? Give right of way to traffic on the crossing road. Drive normally. You are on a roadway that has right-of-way. It is the end of the road section that has right of way. 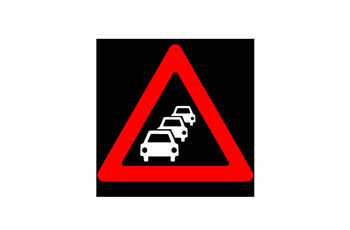 Traffic congestion ahead (illuminated sign). Slow down and follow the right-of-way rules at the crossing area. Stop and give right-of-way to a light rail. Continue driving normally. You have right-of-way in the crossing area. Drive carefully and do not cross any light-rail track. 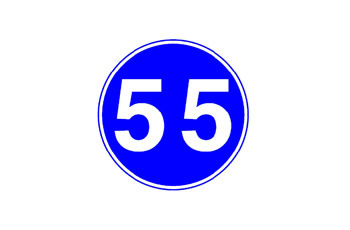 What is the speed limit in an area where the following road sign is placed (and no other road sign indicates otherwise)? 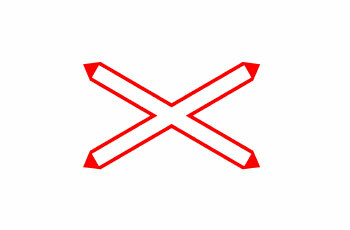 Which traffic sign marks the final warning before a level crossing? 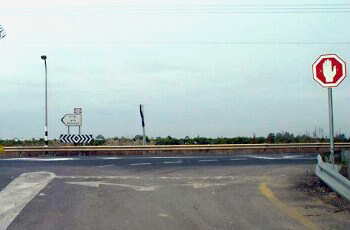 What are you required to do when the following road sign is placed? Drive! You have right-of-way in the intersection ahead. 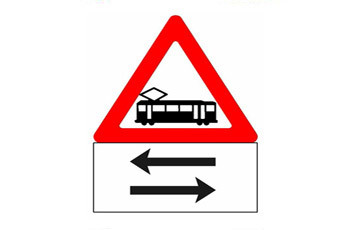 Give right of way to vehicles crossing from all directions. Make a complete stop, look to the right and to the left and evaluate the incoming traffic. You should stop and then continue driving: You have right-of-way in the intersection. 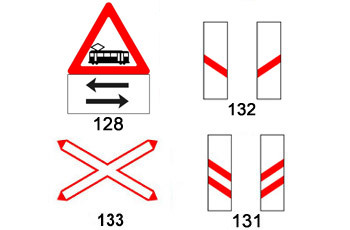 What is the meaning of the following traffic signs? You are merging with a roadway from the left. Give right-of-way and don’t turn left. 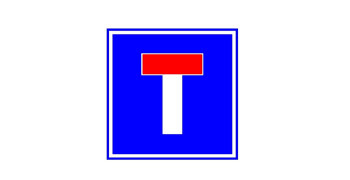 T-Intersection. It is allowed to turn to the side road. Dead-end road ahead. Entry to this road is forbidden. 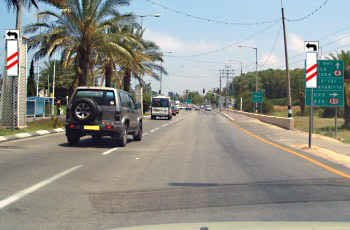 It is always required to make a complete stop and give right-of-way to merging traffic from the right. An area in which parking is prohibited for all vehicles. 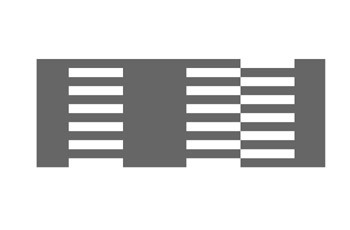 Vehicle parking spaces – parking is permitted according to the markings only. Parking and stopping places for two-wheelers. Stopping places for non-motor vehicles only. No entry for private vehicles. 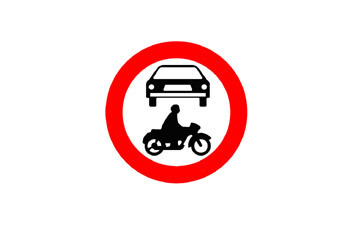 No entry for all motor vehicles, except for motorcycles without a side-car. No parking for all vehicles. No entry for all vehicles, except for private passenger vehicles. A blinking green light indicates the same as a regular green light; hence it shouldn’t be given any special attention. 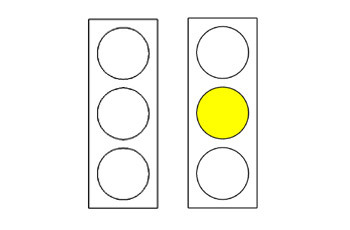 It indicates that the green light is about to turn to yellow, in 3 seconds. 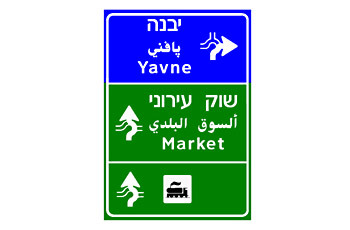 It indicates that the traffic light is out of order and you should follow the signs that are placed in the intersection. It indicates that the light turned green a few moments ago and that you can continue driving. You have right-of-way over vehicles approaching from the opposite direction. The number of lanes is increasing. You are permitted to use all lanes. Parking lot and bicycle parking arrangements. Authorized parking lot for public vehicles ahead. 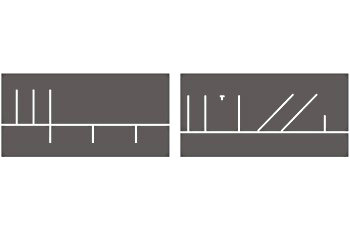 How should you conduct yourself, from the place of the following sign until after the railway tracks? Stop after the signpost and look left and right. Slow down and cross the railway tracks at a constant speed. Don’t stop whilst on the tracks. Give right-of-way to traffic coming from your opposite direction. Cross the railway tracks quickly. 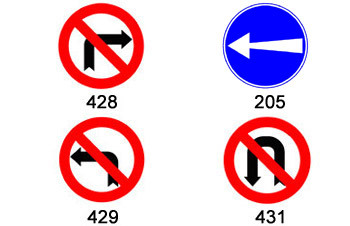 According to the following road signs, what are we expected to come across following the next left turn? An intersection with traffic lights. An entrance to an urban road.